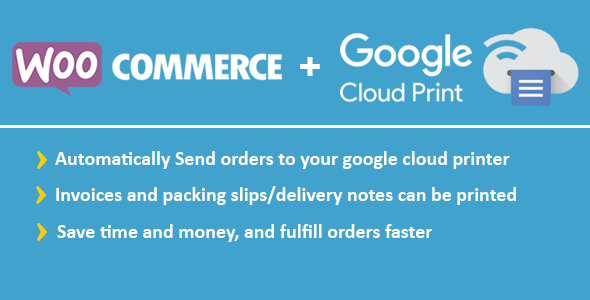 WooCommerce Google Cloud Print will connect your store to Google Cloud Printer. 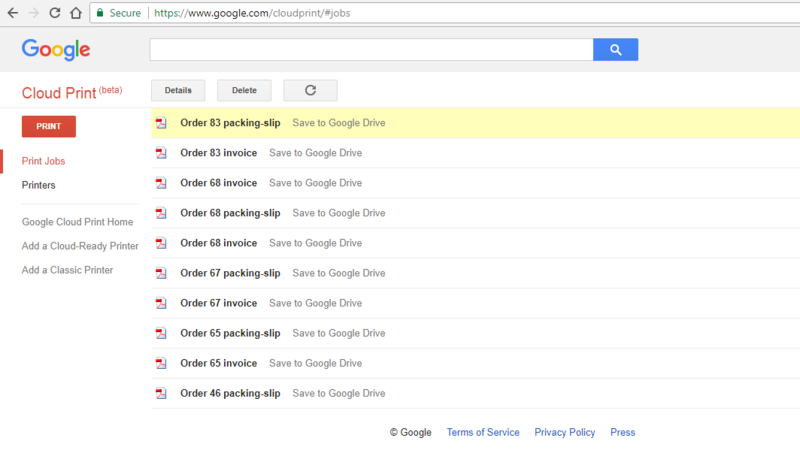 So when a new order is placed in your store, the order print will be sent to your Google Cloud print instantly. This plugin makes this process fully automatic. 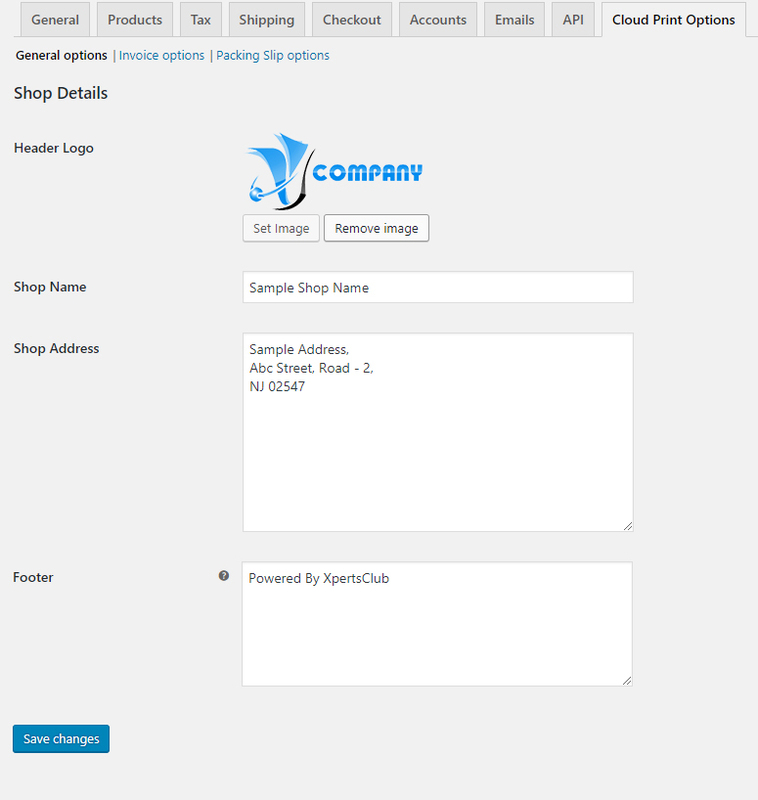 Save time and money, and fulfill orders faster! 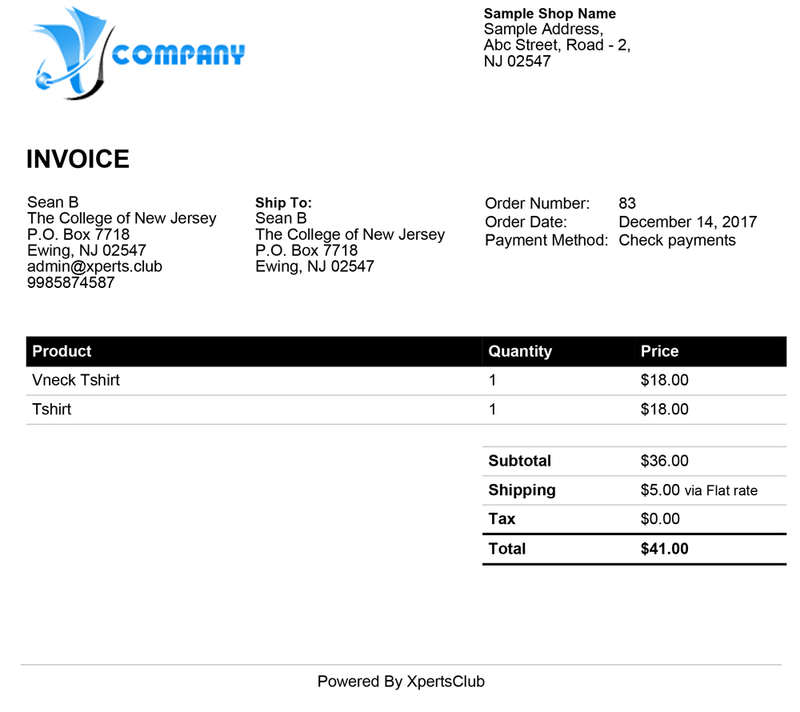 Invoices and packing slips/deliverynotes can be printed. This plugin is compatible with any printer(Which can connect with google cloud print) or can be saved as a PDF to Google Drive. No more delay in between orders being placed and being able to fulfill them. This plugin will save you time. It has been especially popular with take-away and other food store websites – but is suitable for anyone who values their time and wants the best customer experience. All you need to do is to connect your printer to Google Cloud Print, install this plugin, and you’re ready to go. (Instructions are provided).